Cassini’s at it again! After its last flyby of Titan the spacecraft changed course, heading up and away from Saturn’s equatorial plane at an angle that will allow it to better study the rings and the planet’s polar regions. This raw image, captured on May 23, shows Cassini’s view as it heads upwards. 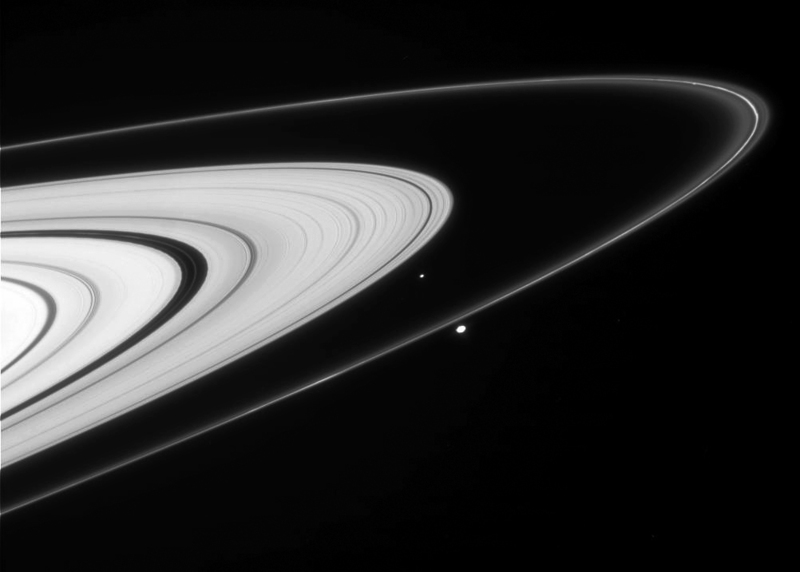 It shows a view of Saturn’s rings and two shepherd moons, Pandora (foreground) and Atlas. It’s nice to see some views like this again from Cassini! Here once again my comment.